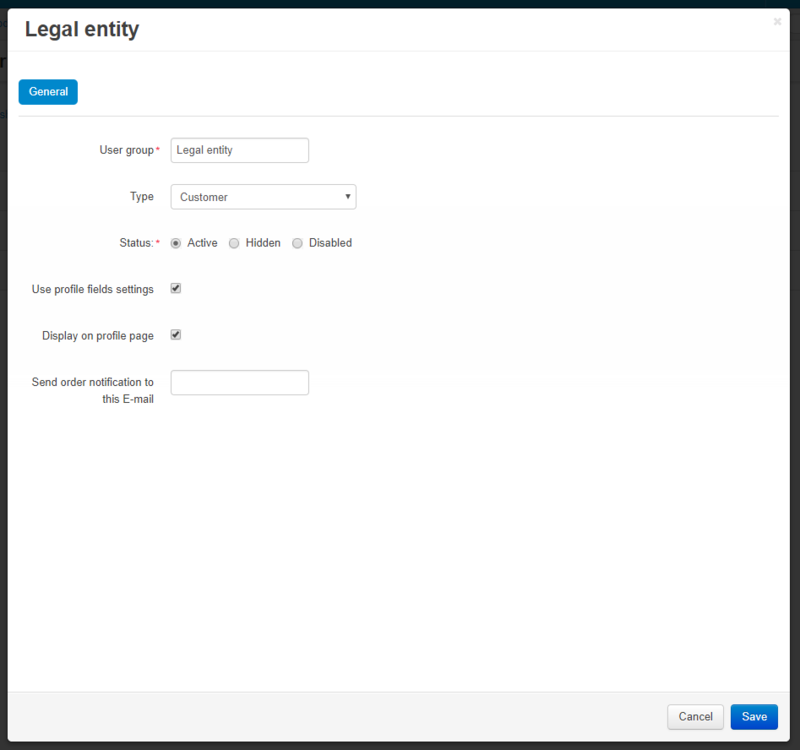 Natural and Legal Entities add-on allows administrator of a store to create new groups for users, which will need to enter different data, depending on their group, while registering. 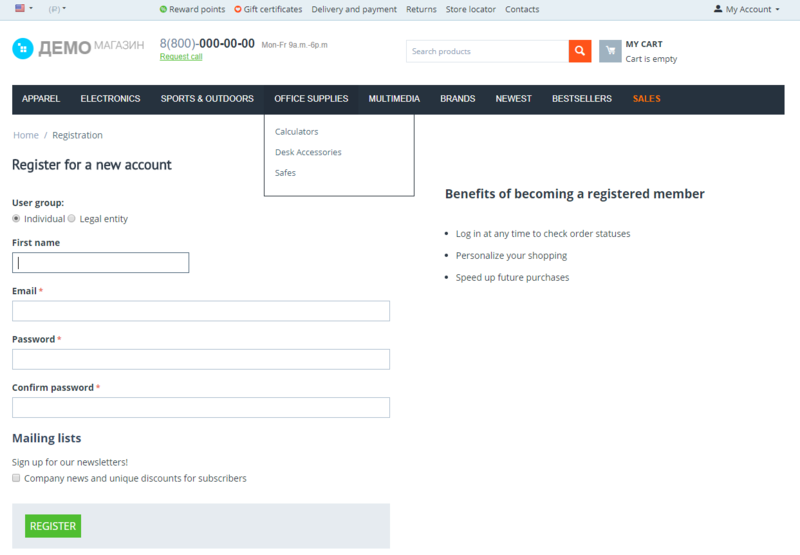 This way you can easily separate individuals from legal entities, wholesale customers from retail ones, etc. 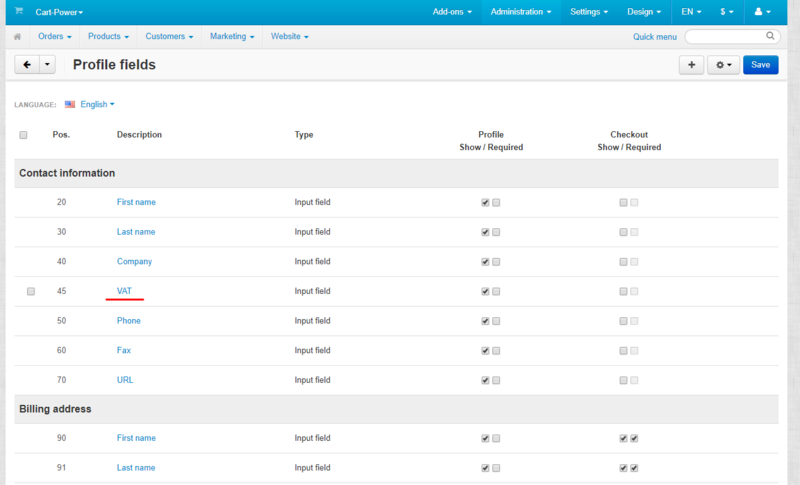 Administrator is also able to specify e-mail to get notifications about new orders in every group. 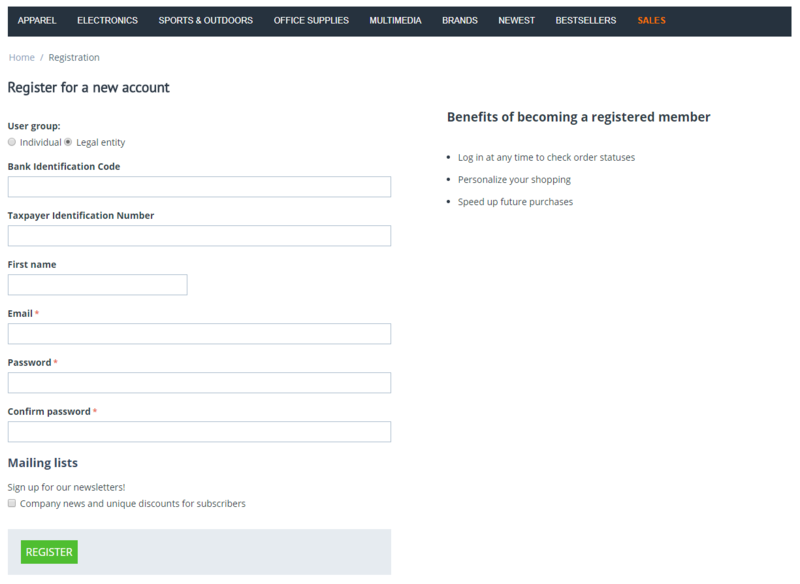 Able to create user groups with different mandatory fields for registration. 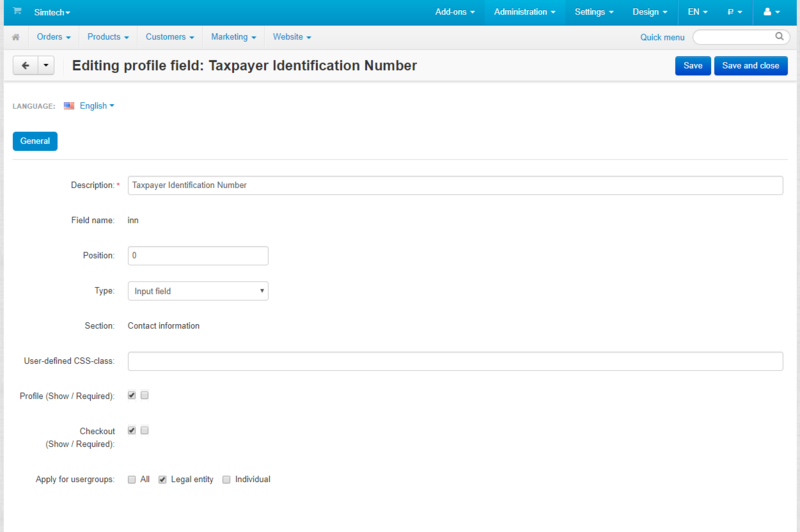 Displays new profile fields on checkout and profile pages. Notifications for admin via separate e-mail about new orders in every group.